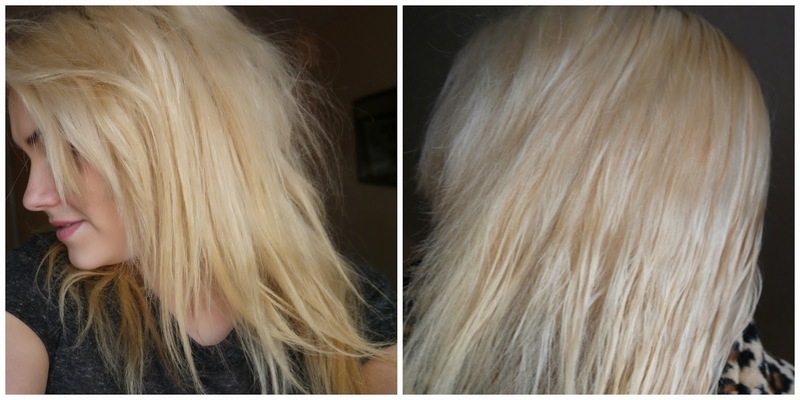 As you will already know I am forever on the quest for the right shade of blonde. Now, I usually achieve this immediately after dying my hair which is great - but it doesn't look quite as hot two weeks after colouring. I usually find that my blonde is turning a little yellow and a tad patchy after this amount of time and is well due for a little toning. 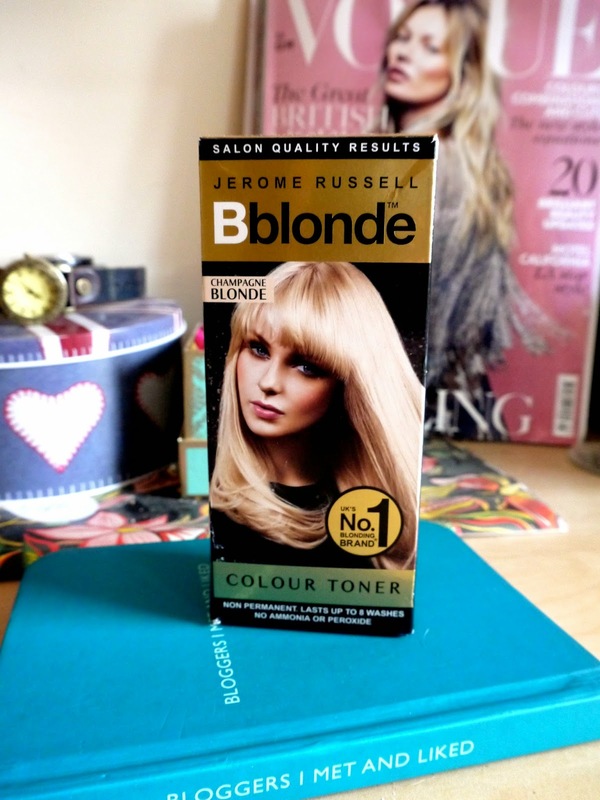 I have tried a few different toners for blonde hair in recent times but never the one that stood out most to me on the shelves of Boots and Superdrug. 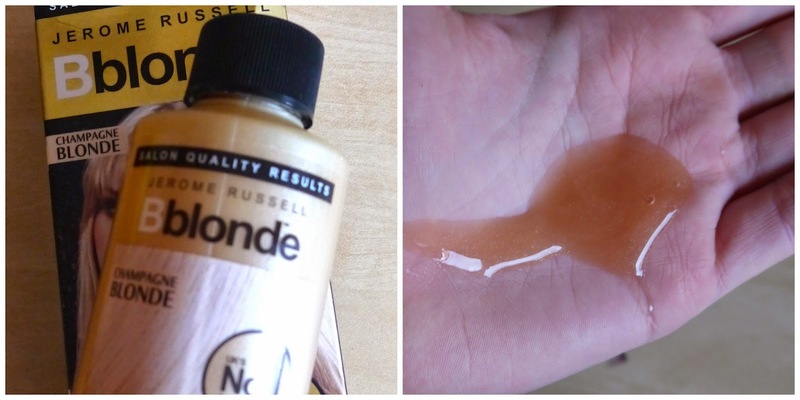 This week I tried out the Jerome Russell - Bblonde - Champagne Blonde* colour toner. This toner is for pre-lightened or naturally blonde hair and is designed to add subtle beige/blush tones without using ammonia or peroxide and lasts up to 8 washes. The instructions are very easy to follow, you simply wash your hair with a clarifying shampoo, towel dry and add in the product. The formula is really nice to work with, it is non-staining and lathers into a rather nice smelling soap. I was interested to see that the formula isn't pigmented, instead, it is dispensed as a peach coloured gel that turns white upon contact with the hair. As you can see the toner has evened out my colour a lot to a more beige blonde as opposed to the false yellow colour it was turning. The colour itself lasted on me around six washes as my hair doesn't tend to hold colour very well but I also managed three full head applications of the toner to compensate. Which toner would you like me to try next?